Collisions with glass claim the lives of a billion birds a year in the United States alone. It is second only to domestic cats as a source of mortality linked directly to humans. Birds that have successfully flown thousands of miles on migration can die in seconds on a pane of glass. Glass is as dangerous for strong, healthy breeding birds as it is for sick, weak, or young birds. It is an indiscriminate killer with a serious impact on bird populations. This presentation will discuss why glass is a problem for birds, differences in vision between birds and humans, identify the best practices and options in preventing bird collisions, inform about legislation regarding bird friendly building standards, and offer affordable resources to prevent bird collisions at home, at work and for new building design. Gail is a retired veterinary clinical pathologist and is a volunteer with several local conservancy organizations. 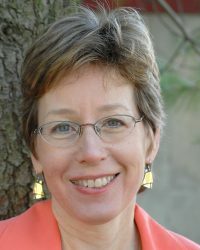 She is a current board member of the Southwest Michigan Land Conservancy, a former board member and Past President of the Audubon Society of Kalamazoo and is a member of the Kalamazoo Environmental Concerns Committee, Wild Ones Native Landscapers, and Michigan Botanical Club. She has been the driving force behind the Peregrine Falcon Cam in downtown Kalamazoo and serves as the liaison between the Peregrines and the building owners and tenants, the media, the DNR, and the public.